Undoubtedly, Snapchat is one of the most popular and fastest growing instant messaging and social media apps in the world right now. Given its insane popularity, it wouldn't come as a surprise to know that a lot of people are looking for ways to hack Snapchat accounts. 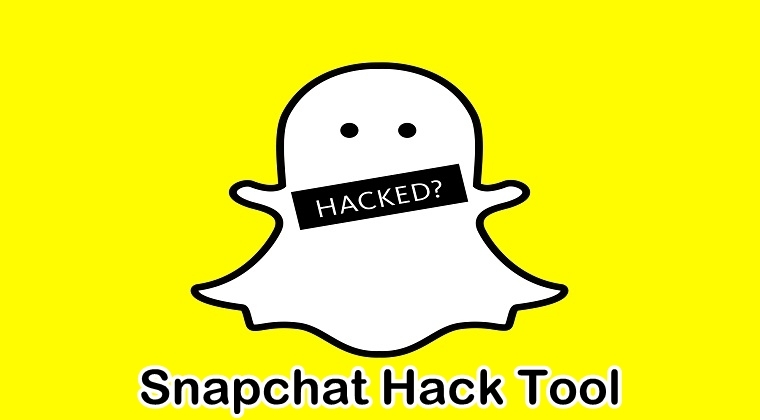 We are going to tell you about the best Snapchat hack tool that actually works. When Snapchat was launched, it created a frenzy among the users. Several social media enthusiasts thought Snapchat's founder was crazy to turn down a $3 billion buyout. However, this decision turned out to be the best decision in his life as Snapchat's popularity and growth have only increased with time. Presently, there are over 188 million daily active users on Snapchat. With a large user base, it's not surprising to know that a lot of people are in search of ways to hack someone's Snapchat account. So when Snapchat hack tools came into existence, people couldn't help but test them to find out whether or not they worked. Before we demonstrate the results, let us fully understand what a Snapchat hack tool is capable of doing and how it lets you sneak into someone's Snapchat. A Snapchat hack tool allows you to sneak into someone's Snapchat account, getting access to their complete Snapchat activity including all the text messages, snaps, and videos shared across the platform. This tool usually comes in the form of a computer program or a mobile application. Depending upon the type of platform the target person is using, it is then downloaded and installed accordingly. In our opinion, Mobistealth is the best Snapchat hack tool one could think of using. Mobistealth is an advanced monitoring solution that can be used for Snapchat monitoring. Since Snapchat allows users to share stories that automatically disappear after a certain time period, Mobistealth makes sure to log all the data before it gets disappeared into the thin air. Once the data is logged, it is then sent to the user's online account whose credentials have been given to them by Mobistealth itself. The online account is where the user can remotely spy on the target's Snapchat activity from anywhere and at any time. In case you have been looking for the best Snapchat hack tool for a while it is quite possible that you must have stumbled upon a bunch of sites claiming to have a working solution. Several Snapchat hack solutions are found on the internet, however, most of them are completely fake. Some ask you to enter the username of the target person directly on the site and promise to deliver the result once it is done. But nothing happens when you actually enter the username. The site takes you to another web page in an attempt to gain more traffic on their website. Similarly, there are some Snapchat hack sites that ask you to fill out online surveys to verify that you are a human but in reality, they are only trying to obtain your personal information so they can send spam emails in your inbox. Just like Mobistealth, there are several monitoring apps on the internet such as Spyzie, TheTruthSpy, and mSpy to name a few. These apps may work to some extent but chances are the target person would soon find out about them and create a huge fuss. The truth is, nobody wants privacy invasion as far as their social media apps are concerned. Mobistealth teaches you how to spy on Snapchat of someone without them knowing. Therefore, if you would want the target person to stay oblivious to the entire Snapchat hack process, you should only consider using Mobistealth as your Snapchat hack tool. In addition, most of the Snapchat monitoring apps may require you to pay extra charges to use their service and do not even offer any money back guarantee. On the other hand, Mobistealth offers a trial period of 15 days, allowing users to test the features before going for a full purchase. In case a user is not satisfied with the service, they can always ask for a full refund after 15 days.